My Journey to Fit: Wednesday Workout Update - Hills, Friends, Bling and Superpowers! Wednesday Workout Update - Hills, Friends, Bling and Superpowers! First hill repeat workout is complete! We started our hill workouts yesterday. I love hills and I hate hills. Mostly hate...you will never see me wearing an inspriational shirt that says "I eat hills for breakfast" because personally, I don't relish that kind of challenge. But I know that they are a necessary evil when it comes to distance training, so I begrudgingly do them, and I love how accomplished I feel when I'm finished. While I'm doing them, however, is another story. Anyway, I did four hill repeats yesterday and lived to tell the tale. We had the added bonus of a freshly dead armadillo to navigate around - gross! Afterward, Julia and I went to Planet Fitness, so I awarded myself bonus points for the day. Go me! 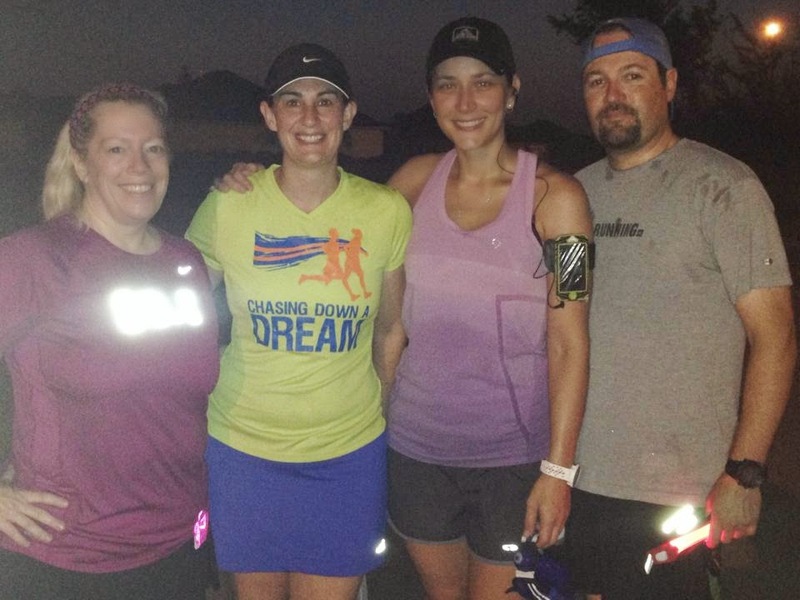 I know I keep mentioning how much fun I have with my running buddies, but it really is true - we've got a great group and there's not only a bit of running going on, but a lot of socializing as well. For example, after we ran on Saturday, we had a mini breakfast at the park while we did our clothing seminar/clothes swap. Then, a group of us decided to go to the running store because it was the last day there for Dan, who was one of the co-owners. We shopped with the special "Dan Discount Day" (coined by Julia), said our goodbyes, gave him sweaty hugs (he'll still be around at races, just not at the store), and then we decided we needed to go to Blue Baker for second breakfast. It's amazing how much laughter we got in before 10:00 am! Garmin 220 powers, unite! We may have been a bit giddy at this point. Also high on bagels and friendship. I love that it doesn't wrap halfway around my wrist! And the lower profile is pretty sweet, too. Plus, I love the color - what a nice change! My 205 is still going strong. I've been wondering about that new Garmin ever since I saw it on FB. I'm still using my 305 and honestly, my 205 which I had given to my daughter, came back to me also still works. Since I'm not REALLY race training, not sure I could justify a new one even though yours looks. so. cool. Sigh. Oh, if you're not going to give it away, you really should sell your 305 on Ebay to recoup some of the cost of the new one. It would definitely sell. Sarah's bling is so pretty and they look so happy. Gotta love a young couple in love, right? Attention Garmin--this would be a great chance to offer a giveaway. Haha, yeah - but I've never seen Garmin giveaways. 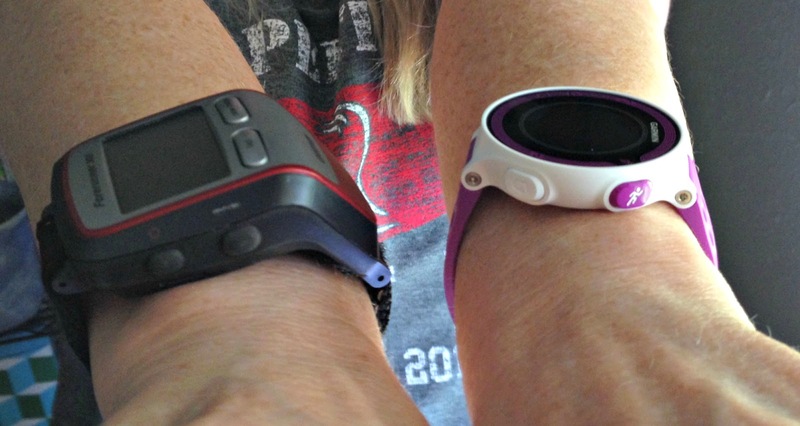 I've seen them given to other bloggers but sadly never me - I'm not on their radar as a runner. Yeah, I'm not on their radar as a runner either, and I've been running for 12 years now. I'm also not on other running companies radars and I get QUITE frustrated when I see other bloggers who are not runners and don't want to be, getting their products. Not because I'm not getting it, but more because the companies need to seek out RUNNERS for their giveaways! It IS frustrating to see non-runners get RUNNING gear. Running friends are the best! I'm like you, I hate roadkill. I'll even run on the other side of the road to avoid. I have a friend that has to get up close and investigate each one. Yuck! Oh bleck to actually investigating it!!! You are nominated - http://myfirst5k.wordpress.com/2014/08/06/i-guess-im-inspiring/ - Congrats! Roadkill? Not a fan… the other day there was a dead half-grown opossum in my yard! Yuck!!!! So...what did you do about the opossum? Wait for something to scavenge it? It was IN THE YARD! Thank goodness the dogs weren't interested in it! I picked it up in my shovel and flung it over the fence! That's an awesome Garmin. I have a Garmin 305 and stopped wearing it because of the bulk. You would be amazed at the difference between the 305 and the 220! Sometimes I think about getting a Garmin, but I sweat so bad on my forearms that I think it would get icky. And that reflective shirt really draws *ahem* attention. Oh, you could not sweat any worse than I do. You can rinse the Garmin off - actually swim in it, although I don't do that. Seriously cool Garmin -- and so AWESOME that we will be able to track you! That will be so fun for Houston! I have the same Garmin and love it! I love the run/walk interval feature. How cool! Yes, I'm loving that feature as well - I don't have to use my Gymboss anymore! I applaud you for running hills "on purpose". I only do it when they cross my path. 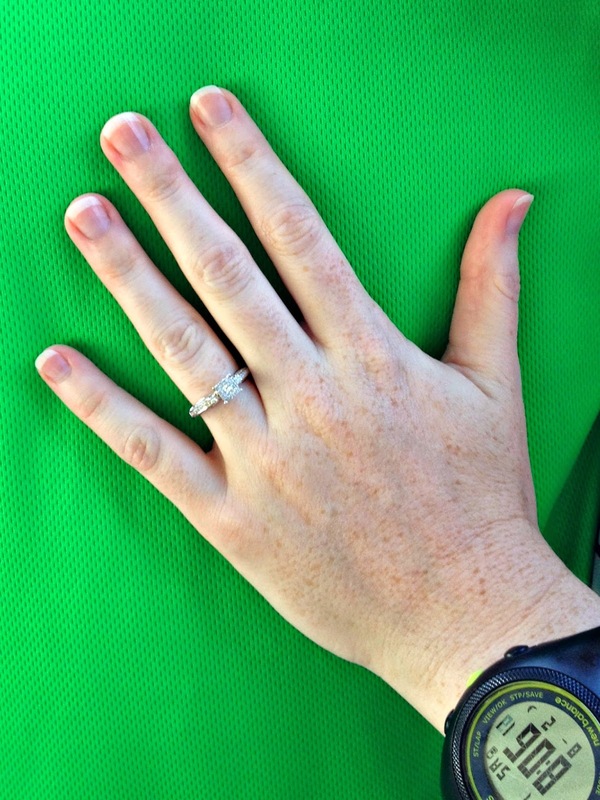 My husband just got the Garmin Fenix. It's super fancy and a far cry from my forerunner 10. But mine still does what I need it to do for now (except it keeps freezing up on me). Yeah for the hills repeat, very well done girlfriend. And I love your running group too, it's so nice to see how much fun you all have.